Partnerships for Forests is supporting Integrated Sustainable Landscape Management in and around the Tain II Forest Reserve via the development of an effective forest plantation model. Ghana’s forest estate has been impacted in recent years by various pressures including population and economic growth – both of which fuel high domestic wood consumption. High rates of deforestation and forest degradation have been driven principally by agricultural expansion, wildfires, logging and fuel wood harvesting, mining and infrastructural development. These damaging trends have been exacerbated by a lack of coordination and alignment between different land users regarding land use planning; the inability of smallholders and the government to invest in restoration activities; and an insufficient legal framework on land tenure issues. 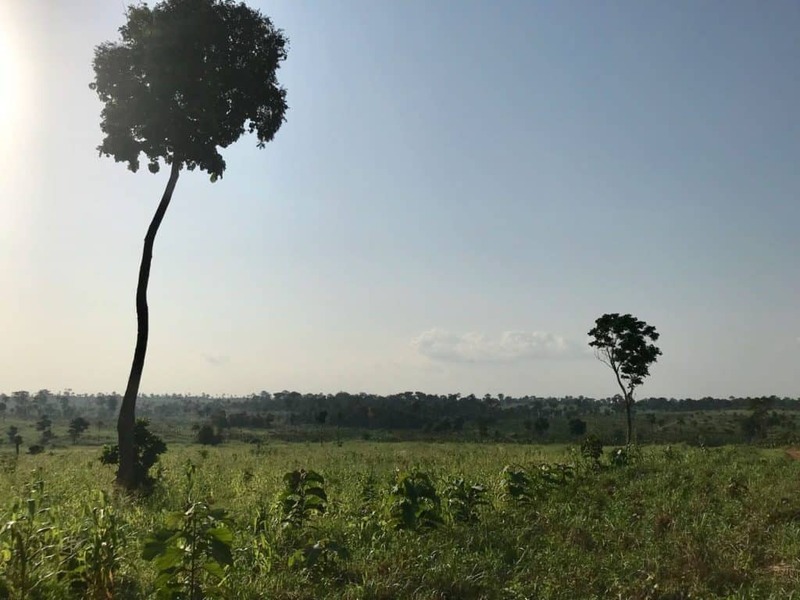 Partnerships for Forests is supporting a public-private partnership (PPP) spearheaded by Form Ghana to implement an integrated forest landscape restoration project in and around the Tain II Forest Reserve, which sits in the Brong Ahafo Region of Ghana. Form Ghana is a leading company in sustainable plantation management, and has successfully restored 20,000 hectares of land in Ghana since 2001. Their intervention will contribute to the Ghana Forest Plantation Strategy – a 25-year plantation development programme – which seeks to restore economic and ecological functioning of 500,000 hectares of the country’s degraded forest reserves. Following several feasibility studies, the project has established a comprehensive governance strategy and a functional Land Governance Board. A constitution, which clearly articulates and validates the Landscape Management Board, has also been developed. The Governance Board will have the legal mandate to monitor farmer activity and assist in determining alternative livelihood sources for community members. Representatives from the Forestry Commission, Traditional Council, Community groups and Form Ghana will coordinate activities and manage interactions with the forest to tackle encroachment and wildfires. Farmers within these communities will benefit from new business opportunities and enhanced access to markets. After a period of compliance with the partnership agreement, they will be eligible for microfinance loans to set up businesses. 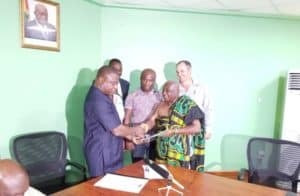 The signing of the MoU between Ghana Forestry Commission, Form Ghana Ltd., Form International, the Berekum Traditional Council and the Berekum Municipal Assembly. By 2020, the project is expected to preserve and restore approximately 117,000ha of forest reserve and deliver socio-economic benefits to an estimated 150,000 people.